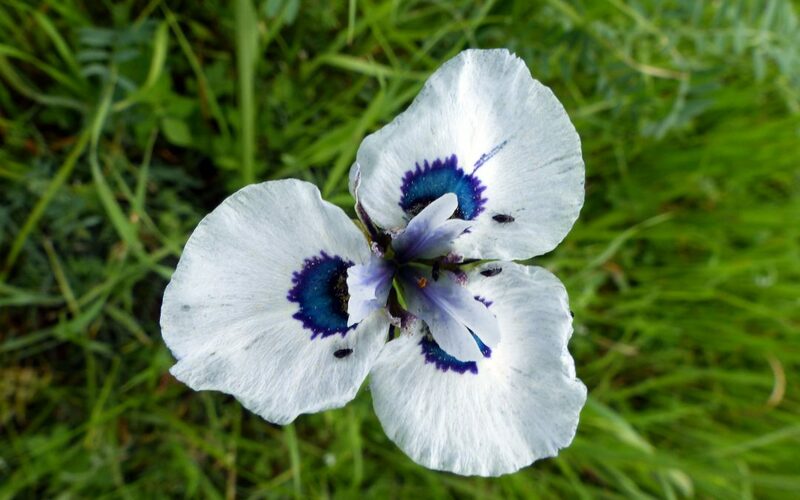 Herbarium specimens indicate that Moraea aristata is a northern Cape Peninsula endemic. It was recorded adjacent to Table Mountain between the present day Cape Town CBD and suburb of Rondebosch. Like sister species in the Peacock Moraea group, it prefers heavier soils and would have been found growing on Peninsula Shale Renosterveld, and likely also in nearby similar vegetation types. There are many stories of species only just holding on against extinction. One that stands out is that of Moraea aristata. This enigmatic Irid has long been admired. 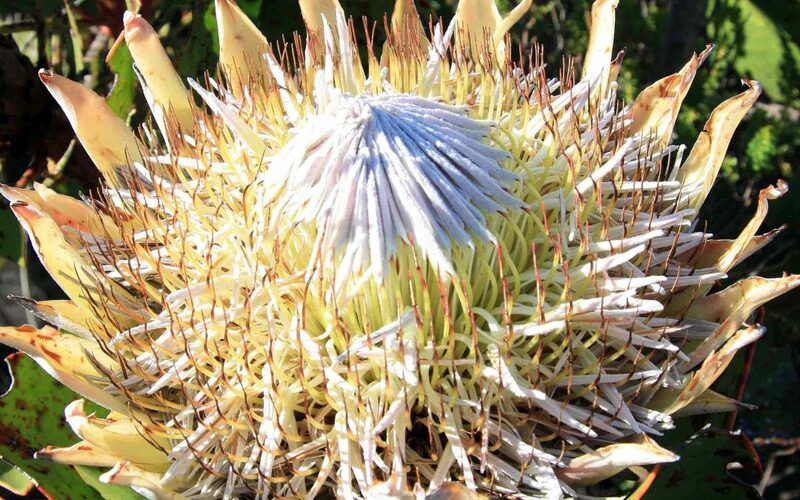 First described in the mid-18th Century by colonial botanical explorers, it quickly found its way into European collections, many of which still persist today. 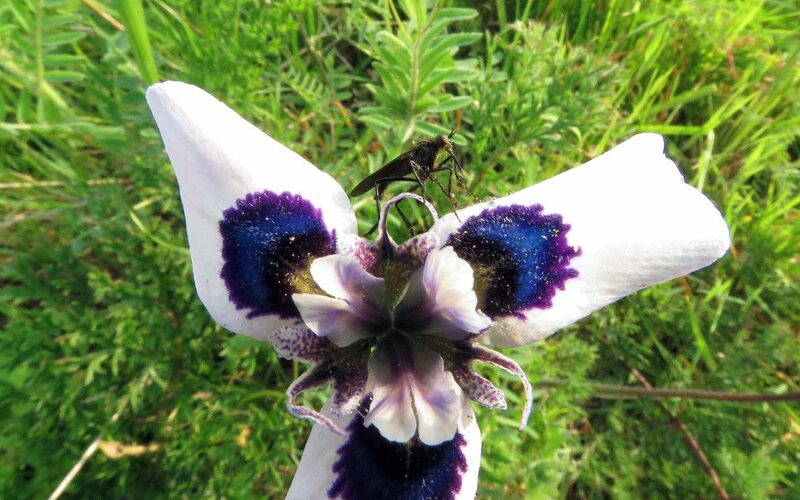 Historical records indicate this Peacock Moraea has always been a narrow endemic. 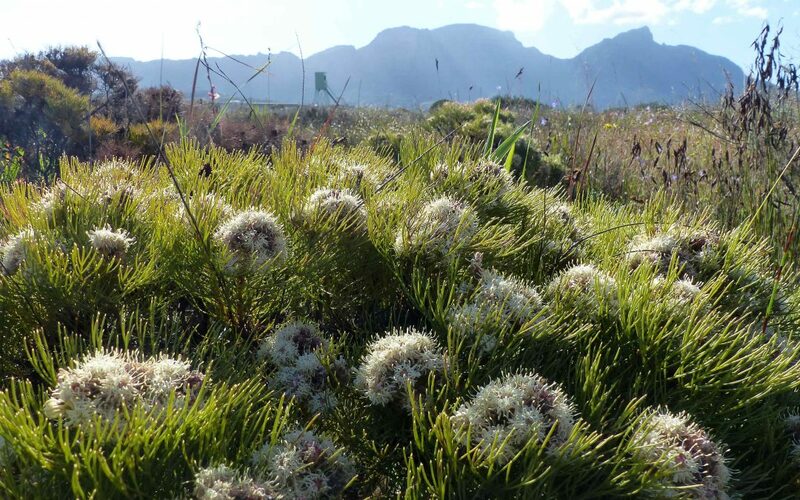 Its natural distribution is the flats adjacent to Table Mountain, between present day Cape Town CBD and Rondebosch. 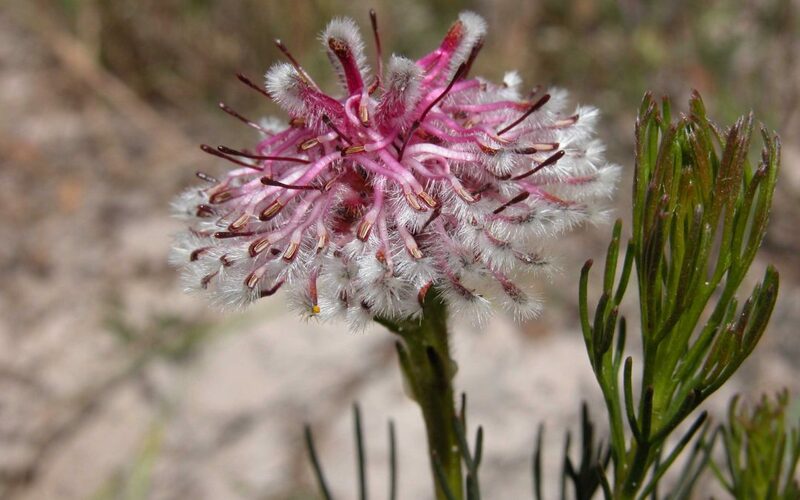 Another precious fragment of our Critically Endangered Cape Flats Sand Fynbos is under threat. Kenilworth Racecourse Conservation Area lies at the heart of Cape Town’s Southern Suburbs and is the jewel in the crown and most intact fragment of this unique vegetation that is only found within the Greater Cape Town area. This site is of local, national and international biodiversity importance. I grew up a winter baby, born in February in the northern hemisphere. Childhood birthdays were days for hot chocolate, tobogganing in the snow and soggy visits to the zoo watched by various bemused creatures hiding from the horizontal Westcountry rain. Six years ago I moved to Cape Town and suddenly the seasons were ‘back to front’ and my birthday moved to mid-summer and the hottest time of the year. 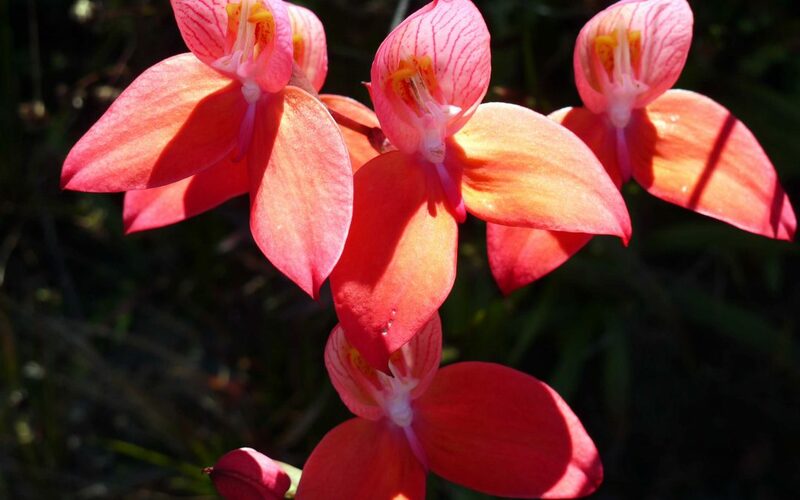 It also now coincides with the flowering of one of the Cape Floristic Region’s most spectacular orchids – The Pride of Table Mountain or Red Disa (Disa uniflora).